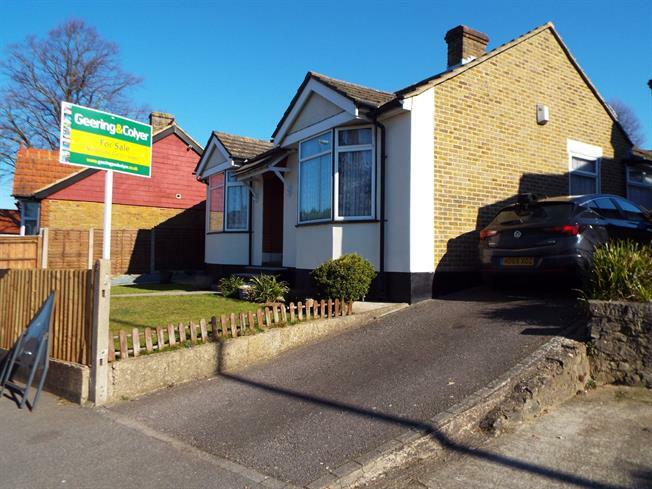 3 Bedroom Detached Bungalow For Sale in Maidstone for Guide Price £260,000. A spacious detached bungalow requiring updating and available with no forward chain. This property has been in the same family for 2 generations and would make an ideal family home for any growing household. The accommodation includes : entrance hall, 3 bedrooms, bay fronted living room and separate dining room, 20' kitchen and outside WC. There is a pleasant garden to the rear with patio area and shaped lawns and side access as well as gas central heating .